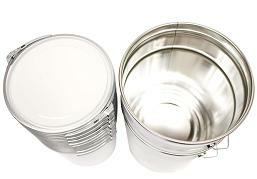 New and innovative 2L and 3L Tinplate Open Head Pails now available from Perennial Packaging. In keeping with its focus on innovative packaging solutions, the Design and Development Team at Perennial Packaging have been busy working on tinplate pails of the micro sized variety. 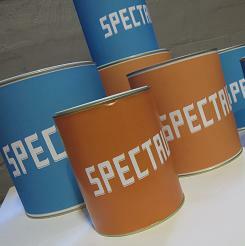 The result is the latest addition to their Steel Packaging range – 2L and 3L open head tinplate pails. Perennial Packaging sponsors The St George College Graduate Exhibition ‘Spectrum with Flying Colours’ held 6 November, 2012. This exhibition showcased the work of recent graduates and upcoming design students. Did you know? Perennial Packaging now offers the full range of General Line Cans. 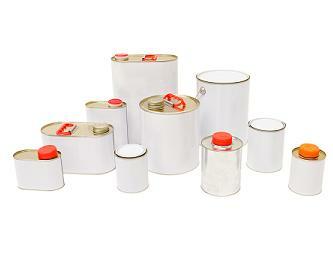 Perennial Packaging’s range of tinplate packaging products has recently expanded to include General Line Cans such as standard Round Cans, DG Approved Micro Drums and DG Approved Oval Flasks in sizes from 125ml through to 6L.